A veranda hanging over the caldera. 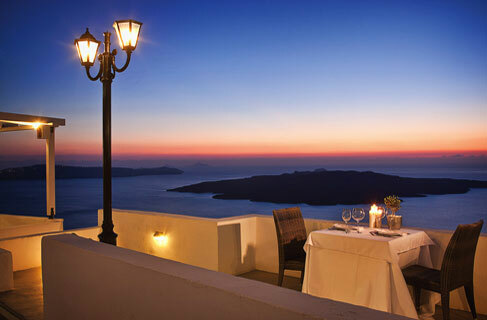 Endless view on the volcano under the stars, at a restaurant situated by the swimming pool of the Loucas Hotel in Fira. Greek and international tastes with preference to local products. In July and August make your reservations in time.